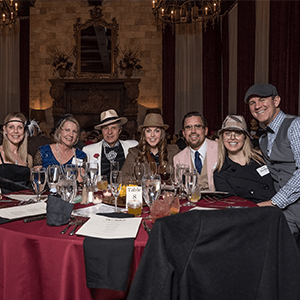 Kansas City Murder Mystery Dinner Parties | The Murder Mystery Co.
Immerse yourself in a crime scene themed to your event for a one-of-a-kind experience in Kansas City. Our mystery parties are crafted to ensure each and every one of your guests have a murderously fun time for any party size! 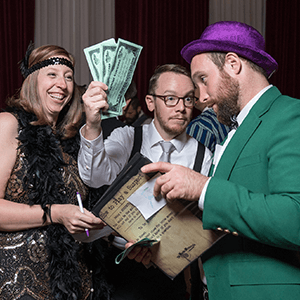 Live-action murder mystery parties are Kansas City's most unique and engaging way to entertain for privately hosted events. 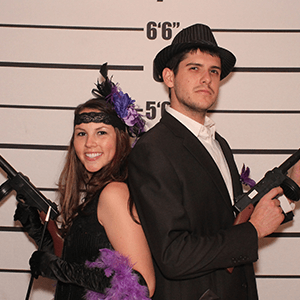 The Murder Mystery Company is Kansas City’s Expert in Mystery Entertainment. We’re “dying” to solve a crime with you, literally! 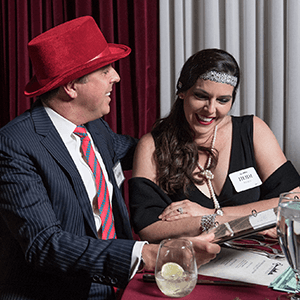 Join us for two hours of killer interactive dinner theater unlike anything you’ve experienced before! Or, bring our mystery experts into your party for a Clue style crime scene that will wow your guests! 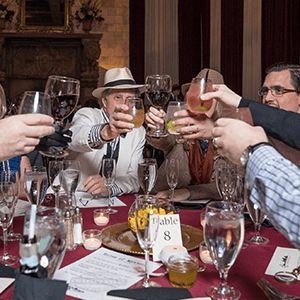 Our murder mystery dinners are the perfect way to spend your next night off. 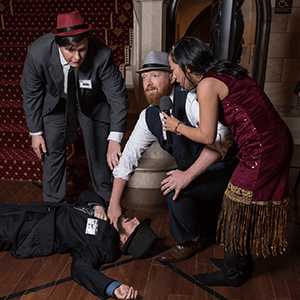 Join The Murder Mystery Company in Kansas City for a savory three course dinner, and enjoy two hours of mystery, intrigue, and murder as you watch a crime scene unfold, and guess at whodunit! Dinner and a show all in one little ticket, what more can you ask for?